The enhanced, feature-length compilation of the Web series is now available at digital retail outlets. Fans who didn’t love the “webisode” format of Stargate Origins are in luck. 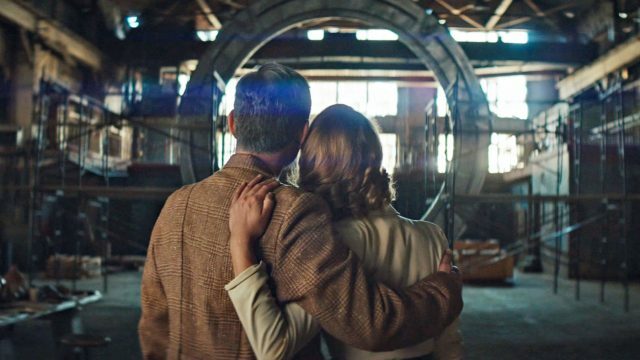 The “Feature Cut” of the new digital Web series — titled Stargate Origins: Catherine — is now on sale. 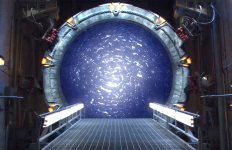 Originally released as ten 10-minute episodes at StargateCommand.co, the refurbished, feature-length adventure is available in SD, HD, and 4K formats at digital retail outlets around the world (including Amazon, iTunes, Google Play, Amazon.co.uk, and others). With a run time of 1 hour and 44 minutes and 5.1 surround sound audio, the movie sells for $19.99 U.S. (and comparable rates elsewhere). Brand new “Feature Cut” additions include a fresh sound mix, enhanced visual effects, a never-before-seen title sequence, and subtitles in 12 different languages. As GateWorld was first to report, the “spinning-camera” episode bookend is also omitted to provide a more seamless viewing experience. “We intentionally built our ten episodes to track a broader story so it could be experienced as a feature-length program,” Sam Toles, MGM Senior VP of Digital and New Platforms, said in the press release. 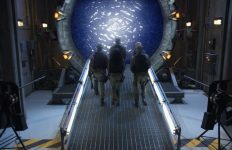 The Feature Cut will also serve to bridge subscription-based regional boundaries — an issue that severely limited Origins‘ initial run on Stargate Command. Existing All-Access subscribers will also be rewarded with a free download of the Feature Cut. Lastly, it’s worth noting the addition of “Catherine” to the title (previously just Stargate Origins). Whether this is indication of more Stargate Origins stories remains to be seen. Stargate Origins: Catherine follows the adventures of a young Catherine Langford in 1930s Africa, where an unexpected breakthrough (and ominous foe) result in a daring rescue mission through the Stargate and onto the sands of Abydos. Ellie Gall stars as the iconic Stargate matriarch. Origins was directed by Mercedes Bryce Morgan with a script from writers Mark Ilvedson and Justin Michael Terry. The first three episodes of Stargate Origins: Catherine can be found for free on Stargate Command. The other seven are available exclusively to All-Access members. I’m still surprised it’s taken this long to get the feature cut release. But if they’ve been working on the special effects and such, then it sounds like this isn’t just a slightly different cut, but that they were doing a whole new round of additional post-production. Either way, it’ll be nice to finally be able to watch Origins. I did – I did miss a few subtle things. They removed a red dot from a floor and adjusted a few lens flares. I also missed that they removed another bonus scene which actually reduces the amount of gate activity we get to see.